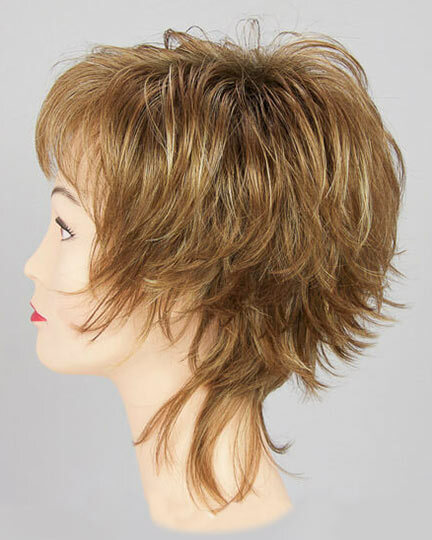 Fringe: 3.75", Crown: 4.75", Nape: 5.0"
Sienna, designed by Noriko Suzuki for TressAllure Wigs, has choppy razored chin length layers with longer wispy layers falling to the shoulders at the nape. 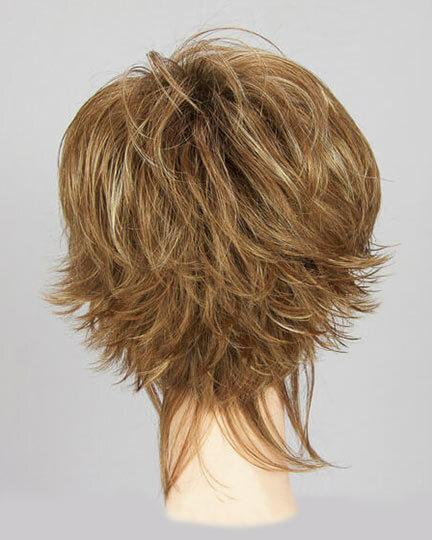 TressAllure Sienna features a standard weft cap construction for all day wearing comfort. Sienna has a cutting edge feel that is easily refreshed by running you fingers through it. The second color way shown for Sienna is in Sugar Brulee. 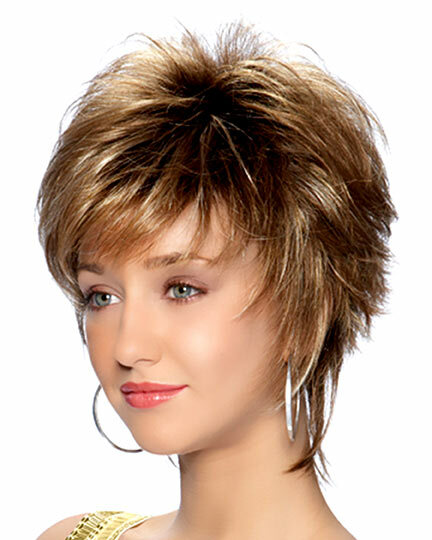 The Sienna wig weighs 68 grams. There are 24 colors available for Sienna. To Buy Sienna, Click On A Small Swatch Below. If you would like to discover other products that share some of Sienna's qualities try the links below. 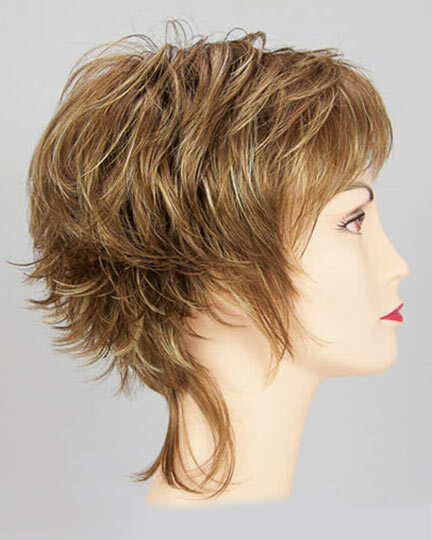 I love this wig- the color was perfect- size was supposed to be Average and was larger, however I could adjust it with the inside elastic adjusters. 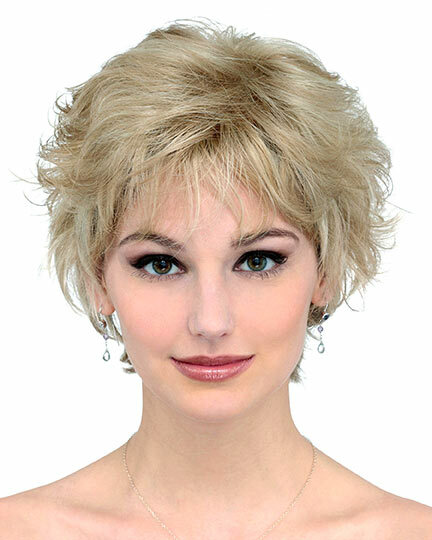 I own several wigs but this style is my favorite!